Don't let links fall through the cracks. Add tracking parameters to every blog, page, social or email link you share. It only takes a few clicks and it's easy. Your analytics tool gets more granular info and gives you better, more precise insights and reports. Don't let bottlenecks hide under layers of data. Improve performance visibility wth CampaignTrackly's simple dashboards. Spot in seconds links and channels that are not driving traffic or conversions in our simple-view reports page. Instantly see what's gaining traction and what needs your attention. Easily compare campaign, channel, and asset performance and make informed decisions about budget and channel use. Outsmart the competition by delivering better assets and campaigns. Drive-test most of our features, it's free. You can always upgrade to a paid plan later if you want. Link tagging is a multi-step process that is hard to integrate into the marketing workflow. In result, most businesses don't track consistently, which ends up undervaluing their marketing. CampaignTrackly lets you do everything with a few clicks - so easy, it promotes consistent tagging so all your marketing efforts are tracked at 100%. Ad-hoc tracking goes hand in hand with lack of naming conventions, causing tag duplicates and errors. This leads to incorrect reports and skewed decision-making, affecting marketing performance. CampaignTrackly reduces manual entries through link auto-capture and tag templates and libraries. Easy search and sort options give you complete campaign visibility. Both inconsistent and incorrect tracking prevent decision makers from seeing the full picture. In result, bottlenecks can continue to be hidden, causing extra budget spend and missed opportunities. CampaignTrackly helps you get consistent and smarter reports that enable you to identify issues and improve assets, so you can drive better results. Who is it for: Social media, content, email and campaign marketers who are looking for a user-friendly and cost-effective way to scale tracking and reporting via Google Analytics or Kissmetrics. Suitable for users of all email tools (ESPs) including Marketo, Hobspot, GetResponse, and ActiveCampaign. 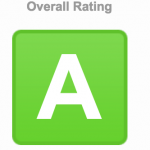 Also be sure to check our 5-star ratings on G2crowd and Google Webstore. A high-quality, feature-packed link tagging automation app , CampaignTrackly is ideal for both budget-conscious startups, as well as larger teams, bloggers and social media, content, email and campaign marketers. Its main benefit: improves productivity and scales performance tracking, reporting and optimization across multiple channels, assets and campaigns. Integrated with Google Analytics, Bitly & Buffer. Compatible with Kissmetrics & most other analytics tools. Suitable for users of all email tools (ESPs) including Marketo, Hubspot, GetResponse, and ActiveCampaign. Best-fit individual plans for your needs. Start at any time. Upgrade at any time. 14-day FREE trial & online chat support available for all paid plans. Have a team? Check out our TEAM plans here. Save $18 Every Month and Pay only $143.40/Yearly! 1. Do you store my payment details on your website? No, we use payment gateways that manage this process for us. We do not have any access to your personal or payment credentials. 2. Is paying via Stripe secure? Stripe is one of the most popular payment gateways. It currently powers businesses in over 25 countries and handles billions of dollars yearly. When choosing to pay via Stripe, you will connect directly to their secure gateway - making sure we have no access to your private and payment information. 3. I don’t have a Paypal account – can I still pay? If you don’t have a Paypal account, you can still checkout using your credit card. Find out more about paying with Paypal here. 4. How does Bank Transfer work? Once you select to pay via a Bank Transfer, we will send you an email requesting a Purchase Order that can be used to generate an invoice for your organization. Upon receipt of the Purchase order, you will be provided with Leafwire Digital’s Bank account information so that you can pay. 5. Can I cancel my subscription and how does it work? You are the customer - it's OK to change your mind!!! For the Free plan, just go to your Account Page and delete your free plan located in the Subscriptions tab. You can do that at any time. For the Monthly recurring subscription, you have 14 days to test the CampaignTrackly tool, during which time you will not incur any charges. After that, you will be seeing recurring monthly charges on your credit card unless you cancel the account. We will try as best as possible to return a pro-rated amount to your credit card. You can cancel your plan at any time. For the Yearly subscription, you have 14 days to test the CampaignTrackly tool during which time you will not incur any charges. After that, you will be charged once for the whole year. We will not be able to return amounts on yearly plans because we are providing you with templates, toolkits and dashboards as part of the plan’s price. These are really costly to put together and organize for you. However, we give you plenty of options to try the tool via our Free plan and via our recurrent Monthly, cancel-anytime plans, so that you can choose a yearly plan when you are ready to start a longer-term relationship with us. To find out how to proceed with refund requests, please read our refunds policy page. 6. Is your website safe for my information? Campaigntrackly’s registration and operation processes take place on our secure https://app.campaigntrackly.com, which is protected by an SSL 2048b encryption via an SSL certificate. Additionally, we have a McAffee Secure protection to ensure the site is clean, safe, and free of malware or other suspicious activities. Click on the padlock next to our secure URL in your browser to check the validity of our SSL certificate and to verify that the site is secure. 7. Are you backing up our data? What if the site goes down, will we lose our info? The app.campaigntrackly site has daily backups that are securely stored on the cloud and can be easily retrieved if need be. Additionally, the site is hosted by Amazon – one of the most trusted hosting providers around the world. 10. How are you going to support me and my team? 11. When connecting with my GA and Bitly accounts, are you able to view my data? Absolutely not. You are the only one who has access to view and manage your data through your account. We only use the Google or Bitly API to facilitate your login. 12. When does my billing period start? Your billing period begins after the end of your 14 day trial. So if you were to upgrade to a paid plan in the middle of your trial, your billing period would begin only on the 15th day from the date you signed up. 13. Can I get a free demo before I decide? Getting in touch is easy - tweet us at @CampaignTrackly, set up a time that is good for you via Calendly or email us. If you need help with a demo, we’d be glad to help. If the above leaves any questions unanswered, please drop us a line and we will be glad to answer any concerned you might have.